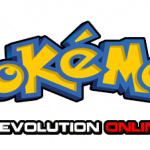 Pixelmon – Play Pokemon Now! The Pixelmon TCG has come a long way, and is nearly ready for a full public release. However, it is first important that it is tested on our beta server, beta1.pixelmonmod.com! We have just released Pixelmon TCG 1.0-beta3, which hopefully has fixed the large majority of the bugs with the previous version. It also adds in a very useful item, the Card Compendium, which allows you to view every implemented card and its appropriate card blank in-game. New to Pixelmon TCG? We suggest that you first read the wiki here to get a basic understanding of what it is all about. Beyond that, the best way to learn is to play!